The Faroe Islands is an archipelago and autonomous country within the Kingdom of Denmark, situated approximately halfway between Norway and Iceland. 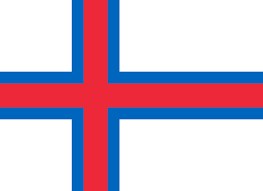 The Faroe Islands have been a self-governing country within the Danish Realm since 1948. Over the years, the Faroese have taken control of most domestic matters. Areas that remain the responsibility of Denmark include military defence, police, justice, currency and foreign affairs. The international airport of Faroe Islands is Vágar Airport. Photo’s of the Faroe Islands coming up soon, I hope.